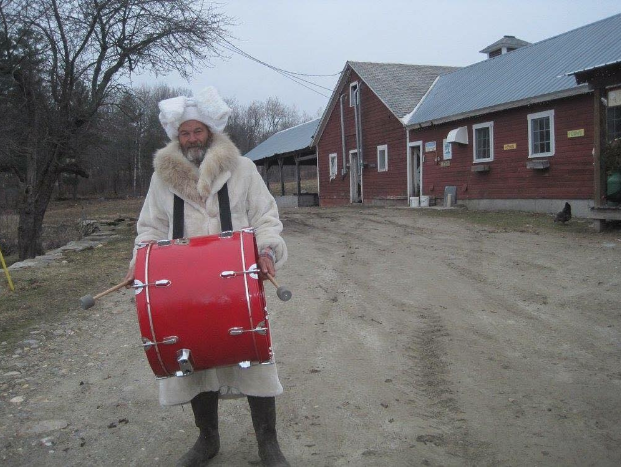 Standing in for Steve’s Existential Crisis this time around we present a photo of our friend Jon Wright, owner-proprietor with his sister Mimi of Taylor Farm in Londonderry, preparing for Easter festivities on the farm. Their gouda is fabulous—especially Mimi’s cloth-wrapped aged version, if you can get it—and Jon recently build a wood-fired pizza oven that they fire up every weekend. Stop by if you’re in the neighborhood.